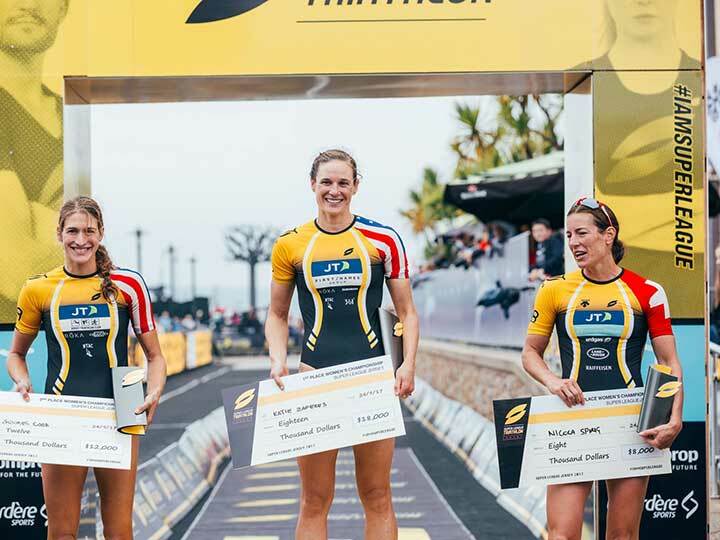 JT – the official Technology Partner of September’s Super League Triathlon in Jersey is expanding its support this year to bring a wide selection of entertainment, food and games to the world-class event; for local islanders and visitors alike. Building on the huge success last year when JT provided technical support, mobile communications and full-fibre internet access to the broadcast team and race organisers. JT are helping make the weekend of 28-30 September even more of a community event. The FREE JT Fan Zone will be based on the lawn above the Waterfront car park and will include three days of free music, catering from Jersey suppliers, a Tech Zone with games to play, and an activity-filled Kids’ Zone, all free for islanders to enjoy. The weekend of intense competition will be televised and streamed around the globe. Last year, it attracted a worldwide audience of 375 million people in 147 markets. The live streaming and social media coverage was possible thanks to strength of JT’s full-fibre and mobile network helping power the event. By this September, Jersey will be the first jurisdiction in the world to have every residential broadband property directly connected to fibre. This event is the ideal opportunity to celebrate that achievement. Issued by Julien Morel at Direct Input. Telephone 01534 735253 or email julien@directinput.je for more information. For all media enquiries regarding Super Leauge Triathlon, please contact Natasha Egre or Katie Lawson. The Refinery PR, E: Natasha@getrefined.com and Katie@getrefined.com T: 01534 720200.